You should be reading the film criticism of Adam Nayman. Last week he wrote at The Ringer about Stanley Kubrick's adaption of A Clockwork Orange "in the age of cancellation," i.e., in a time when works of art deemed "problematic" are censored, edited, or banned. Or at least when such a fate is wished upon them by screaming hordes online. I have two thoughts in response to his piece on ACO, which as usual is an excellent, thoughtful engagement with a difficult and culturally influential film. "It’s hard to say what’s more boring: The idea that a good movie is one made by a good person and/or contains content that could be considered progressive for its time and place, or the shouting-down of that position from those whose investment in rejecting it can seem condescending or creepy." Pre-order The Triune Story today! 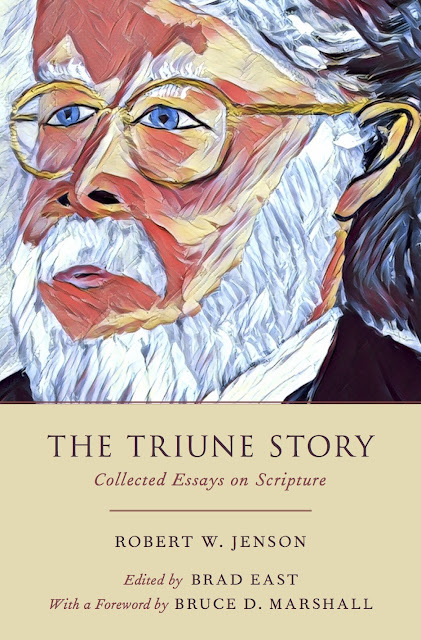 Good news: the book I am editing for Oxford University Press, The Triune Story: Essays on Scripture—a comprehensive collection of the late theologian Robert Jenson's writings on the Bible, with a foreword by Bruce Marshall—is available online at both OUP's website and Amazon. Oxford says the book will be out mid-June; Amazon says mid-July. I'd go with Amazon on that one. I'm working on indexing the book right now, after which point, late this month, I'll get the proofs. So perhaps the revised proofs will be ready by May 1? I don't know how quickly the turnaround is on these kinds of books, but perhaps quicker than I imagined. We also need to get the blurbs, about which more soon. It seems to me that most Christians today—in my context, I mean: college-educated or middle-class American Christians, especially those raised in the church—see their spiritual options as basically threefold. Either they maintain Christian faith of some kind; or they become spiritual but not religious; or they become officially agnostic, though functionally atheist. That is, there are basically two "exit" options from Christianity, both of which can be described as a form of nonbelief: faith in nothing at all, or faith in something-or-other left undefined. Last week, in my upper-level majors course on systematic theology, the topic was providence. We read classical accounts of divine and human agency and discussed the nature of God's will. I wrote up some provisional, incomplete theses to help guide them through the thicket. I'm sharing them below, partly as an aid to others, partly as an invitation to be corrected by my betters—this area is simply not my specialty. St. Thomas, pray for this theologian's poor soul!